When I started to design the Liquid Silk garden sculpture I looked at areas where I wanted to get inspiration and made mood boards, sketches and paintings to document it all. It all started a bit pie in the sky but as the project went forward it got more and more resolved and refined. Over the course of this page you will see some of my mood boards, key inspiration images and some initial sketches I did to get the creative juices flowing. Taking inspiration from what I know and admire the most I looked at some class leading automotive design to see how the curves interact with each other. Were there any interesting lines or cues that I could take and what proportions might be suitable? 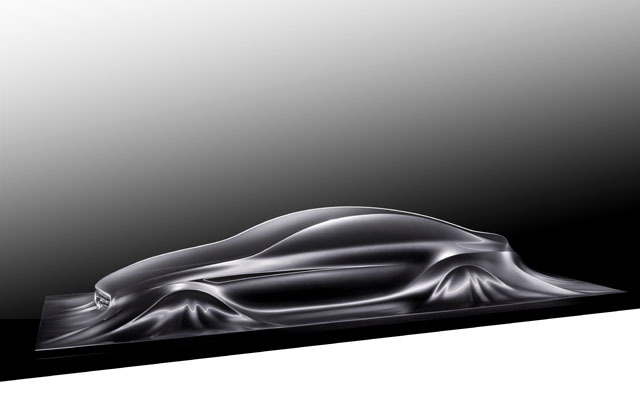 The BMW I8 and Mercedes CLS sculpture really express fantastic line execution with the Mercedes managing a beautiful proportion in the mix as well. 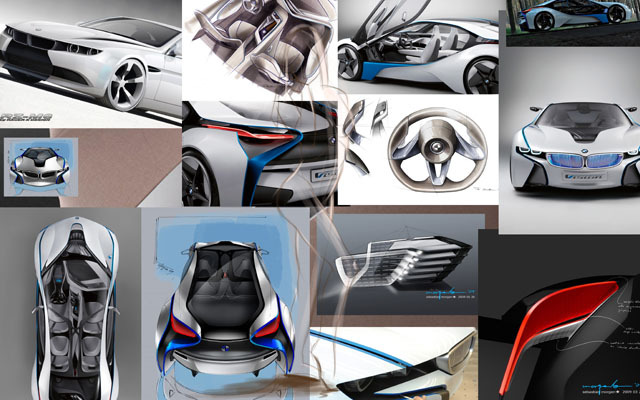 The BMW challenged the idea of panels and pushed the boundaries of intersecting shapes and form. 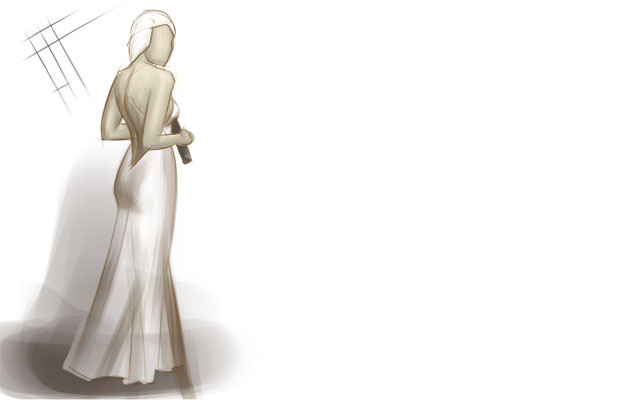 This was one of the most influential images of the Liquid Silk sculpture project and you can see how the lines of the final form echo the overall form of the silk hanging off the torso of a female figure. Off set to one side with the silk wrapping and pinching round her, similar effect to the Mercedes sculpture giving the appearance of being draped in silk. Again similar inspiration from the picture below but beginning to communicate it in a painted form to become more comfortable with the line and proportion I wanted to aim for. 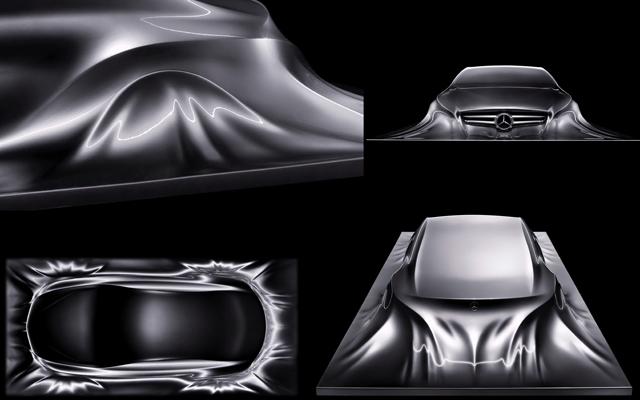 Combining this form with the execution inspired by the automotive design at the start produced a nicely resolve form.